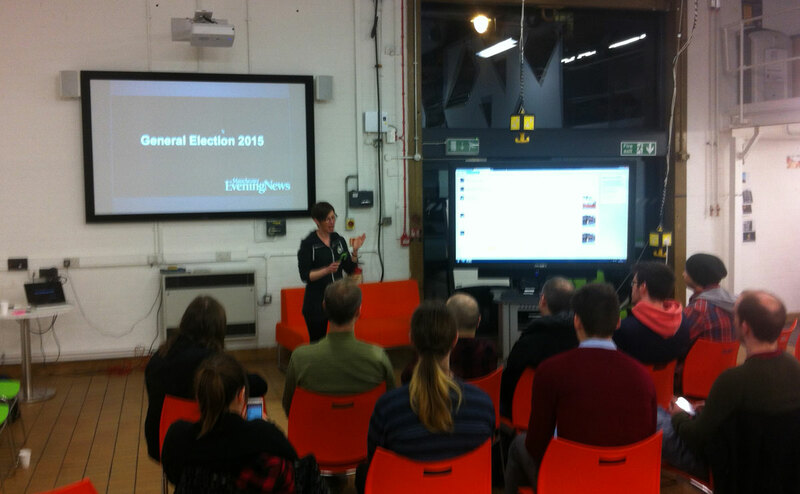 The fourth Hacks/Hackers Manchester was about the general election. How can we make the upcoming general election more interesting to young people and encourage them to use their vote? Can we use games, apps and other tools to engage them in the democratic process or just to make it more fun? Here are my notes from the event. First up was Beth Ashton, Social Media Editor at MEN, who outlined how for the newsroom had come since the last election. She also talked about some of the planned coverage including the Manchester Manifesto, an online poll on local and national issues which had over 5,000 respondents. Next up was Francis Irving, CEO Scraperwiki. He’s a programmer and activist who has built what he referred to as “disruptive, civic tools” such as YourNextMP and ElectionLeaflets.org. Don’t try to build another social network. Build on top of Facebook. Otherwise expressed as “Facebook will destroy you”. “Harness Self-Interest” by encouraging or enabling selfish actions which can maybe build something bigger. Restrictions are good. Not having much time or money can be to your advantage. If it’s stupid but it works, it’s definitely not stupid. The only valid test is other people. Get it working quickly then iterate. Stay focused. Remember your objective. Don’t get too attached. Choose your weapon wisely. Use what your know. A great evening with much to mull over. Thanks to all the speakers.